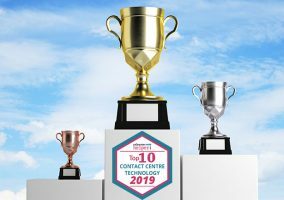 Voting is now open in our 2019 “Top 10 Contact Centre Technology” awards. Click here to vote. 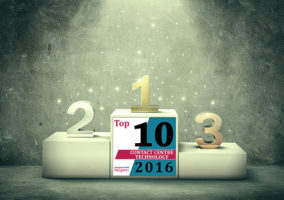 Here are the results of the 2017 Top 10 Contact Centre Technology Awards. Here are our most recent award winners. Thanks to the 1,040 people who voted. It makes these the most impartial of all the contact centre technology awards. Brief overview of product: NewVoiceMedia’s premier product ContactWorld is a multi-tenant global cloud contact centre and inside sales solution that enables organisations to have more successful conversations. The intelligent communications platform helps organisations worldwide build a more personal relationship with every customer and prospect. It joins up all communications channels without expensive, disruptive hardware changes and plugs straight into the business’s CRM platform for full access to hard-won data. With a true cloud environment and proven 99.999% platform availability, NewVoiceMedia ensures complete flexibility, scalability and reliability. NewVoiceMedia integrates seamlessly with Salesforce, the world’s fastest-growing CRM software, and is the highest rated partner on the Salesforce AppExchange, scoring a perfect 5 out of 5 rating from nearly 300 users worldwide. In late 2016, NewVoiceMedia was positioned as a ‘Challenger’ in Gartner’s Magic Quadrant for Contact Centre as a Service, Western Europe. What are the Unique Selling Points of the product? NewVoiceMedia’s ContactWorld is a multi-award-winning true cloud solution with no need for downloads/plug-ins or expensive integration with on-premise equipment, saving both time and money. ContactWorld has the strongest Salesforce CTI integration on the market. With its open APIs, accessing customer data from any Salesforce deployment is easy, including from third-party apps on an individual client’s CRM system. This allows the creation of intelligent call routing structures based on all customer data held by a client. Better customer satisfaction is the outcome, as ContactWorld delivers calls to the most appropriate agent in the fastest possible time. Intelligent IVRs, using the same CRM data, reduce queue times and allow self-service. Automatic screen pops make it much easier for agents to complete ID&V and give an efficient welcome to customers. Call logging is automatic, saving valuable wrap time and agents are automatically put into the right state to take calls. Clients love NewVoiceMedia’s global capability. The platform lets them use a single call plan to control their global contact centre assets. By enabling the application to use telephony servers in remote geographies, clients can configure and manage their global contact centres more effectively through a single central touch point. This allows better management of peak periods and agent shift changes in individual regions as the intelligent overflow capability automatically routes calls to centres with spare capacity, no matter what their location. The benefits are reduced customer wait times while audio quality and service availability is boosted for calls in remote regions. For inside sales, NewVoiceMedia’s global calling plans are easy to set-up and improve income to cost ratios significantly. Click-to-dial functionality, automatic dialling of dynamic lists and a local number presence drive inside sales success. Integrated marketing automation provides qualified leads. Managers benefit from gamification tools, real-time analytics, fast and easy to access call recording and WFM APIs that optimise scheduling – across any global contact centre estate. The software is always up to date and there is no requirement for IT specialists: ContactWorld is easy to manage through the Contact Pad. NewVoiceMedia also provides dedicated support, available 24/7 around the world. Approx. number of UK customers using the product: Approximately 343 businesses in the UK. Typical price for a 100 agent solution: Price determined by functionality/services required. “There’s always room for improvement no matter how good you are. (NOTE: The company name was previously injixo Ltd. It was renamed to match the parent company InVision in late 2016). Brief overview of product: Award-winning cloud WFM application for call centres and contact centres – £9/user/month, all-inclusive. What are the Unique Selling Points of the product? injixo is a true cloud application. There is no need for a capex budget, no need for a heavy IT project, no servers to buy and maintain. There is no annual big-bang update – new features are available to every customer as soon as they are released. Comprehensive onboarding support – you can log in within hours of signup and then experience an setup process that has been refined and proven over 200 installations worldwide. injixo is Software-as-a-Service and costs just £9/user/month with no hidden extras and no setup fee. The functionality is more than comparable with the expensive big-ticket vendors. Check out our powerful forecasting, multi-skill scheduling and smartphone-friendly agent portal – request a demo via our website injixo.com. injixo is monthly pay-as-you-go – you pay for just what you use and can exit anytime. “I think that there have been really good suggestions put through online, however there has been no update on what’s happening with these ideas for a while. Brief overview of product: The Noble Enterprise Contact Centre Solution is tailored to meet each client’s unique business needs. Noble offers a unified suite of inbound, outbound and blended omnichannel communications, strategy planning, and resource management tools for companies of all sizes, from enterprise organisations to small and mid-sized businesses. Our Premise, Cloud, and innovative premise/cloud hybrid platforms include ACD, predictive dialling, blended omnichannel processing, compliance, recording and monitoring, IVR, messaging, interaction analytics, campaign strategy and decisioning, compliance, and workforce management. Offering a Single, Unified Platform and Long-Term Stability – Our founder is still our CEO and Noble Systems has not undergone changes of ownership. Our components for inbound and outbound management, digital recording, universal queue, IVR, text-to-speech, WFM, and analytics are integrated to work in a single, unified platform. Noble provides the most complete and robust contact centre portfolio of solutions designed to continuously measure, improve and align operational performance with the customer experience to increase customer loyalty and reduce cost of operations. Noble Systems is the #1 market leader for outbound technology (Frost & Sullivan – 2016, 2015, 2014 and 2013). Delivering Flexible Platforms Tailored to Client Needs – Noble Systems has developed our solution so that our clients may use our product as a turn-key solution or as a point solution to integrate into their existing enterprise systems. We offer a variety of deployment options, including local and distributed environments, as well as Premise, Cloud, and Hybrid platforms. The open design of our solutions allows integration with external applications to improve efficiencies and deliver a unified environment. With our ‘building block’ approach and scalability, companies can right-size their Noble platforms to fit their needs and to support their growth. We deliver on our promise and as a result have been growing from positive word of mouth for over 26 years. Our Unique Offerings for the Premise and Cloud Markets – Noble offers both premise and cloud solutions designed to support mission critical requirements for today’s contact centres, including PCI-Ready, compliant platforms. Our cloud solutions are built upon the same platforms as our premise solutions, and offer the same high-performance features, not a limited functionality set. Our innovative premise/cloud hybrid model uses ‘elastic capacity’ to support temporary expansion of agent seats or messaging campaigns, and provides flexible options for disaster recovery. And, we offer an easy migration strategy to convert from cloud to premise, or premise to cloud, as your needs change. Including Software Upgrades at No Charge – Noble Systems includes software upgrades at no additional cost as part of our standard maintenance fees. Providing Top-Quality Client Support – No product stands alone, and support is a critical requirement for mission critical enterprise applications like a call centre solution. The Noble CARE support team is based in Manchester, in the same building as our training, engineering, sales, and service organisation. Our clients have access to a team with over 500 man-years of experience in the call centre business, as well as in Noble products – rather than sourcing our support to outside groups who are required to learn and understand multiple products built by different development organisations. Approx. 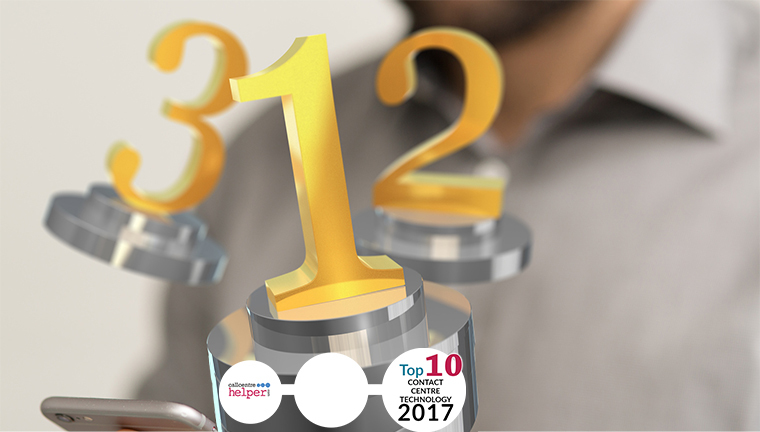 number of UK customers using the product: In the UK, the Noble Systems solution is used by approximately 200 contact centres, with over 10,000 agents. Noble Enterprise Premise Solution starts from £150,000 for a 100 seat solution. Noble Enterprise Cloud Solution starts from £80,000 for a 100 seat solution per annum. Brief overview of product: Bright Navigator provides companies with an ability to capture VOC feedback at all parts of the customer journey which is used to drive operational performance, improve service levels/satisfaction metrics (CSAT, NPS, CES) and helps engage the frontline workforce. On average clients increase customer satisfaction and NPS scores by 20% after the first three months of deployment. What are the Unique Selling Points of the product? The Navigator introduces industry-first technology, allowing clients to find links between three areas: customer feedback, employee engagement and internal performance metrics. Customer service operations no longer have to guess how metrics in these areas affect each other and are able to take a unique holistic view of their business areas. Using the correlation tool embedded in the software, companies for example have the ability to find (often counter intuitive) links between service levels and customer sat, productivity metrics and employee satisfaction, employee engagement and conversion rates, etc. Alerts and action management – Enables the contact centre to become a true real-time information hub by proactively sharing insight on broken processes, customer dissatisfaction and sales/marketing opportunities. Employee engagement – Measured and benchmarked giving clients actionable feedback on how to drive engagement and where. Typical price for a 100 agent solution: £2,300 per month. Brief overview of product: CallMiner Eureka Xchange is the speech analytics industry’s first open application exchange platform leveraging the community and concepts of crowd sourcing to tackle tough customer engagement challenges. Eureka Xchange provides a platform for CallMiner analysts, customers and partners to share and modify content and through this collaboration turn good customer solutions into great ones. Eureka Xchange combines the collective knowledge of users with prior experience, particularly those in similar industries, to achieve analytical insight, optimize customer experience, accelerate ROI, and drive better contact centre operational performance, faster. CallMiner is a recognized leader in automated interaction analytics with its speech/Omni-channel Eureka Analytics, real-time EurekaLive and myEureka Agent/Supervisor performance feedback portals. Eureka Xchange was created out of CallMiner’s deep rooted philosophy that highly impactful, engagement optimization solutions start with a platform that is user friendly, intuitive in design, highly customizable and promotes low TCO user independence. To this end, CallMiner has introduced Eureka Xchange to drive the extensibility of the Eureka platform. What are the Unique Selling Points of the product? Eureka Xchange provides the CallMiner user community a site where its hosted Eureka 10 speech analytics customers can download popular or newly developed categories. These categories, covering a broad range of use cases, drive faster results and ROI for customer care, collections and sales contact centres as well as enhance the customer experience of their consumers Content can built, modified and shared by CallMiner analysts, partners and customer users alike. This radical approach breaks the mould on the professional services-laden cost to build new categories and scores that other speech analytics providers typically require. Eureka Xchange affords the CallMiner user community the opportunity to augment and expand their current categories and scorecards at low or no cost to the customer. These categories, oftentimes socialised and brought to light within our highly engaged CallMiner User Community, are fully vetted and QA’d by CallMiner’s Business Intelligence Analysts Team before posting to Xchange. Approx. number of UK customers using the product: Seven customers with a total cumulative agent headcount between the 7 customers of approximately 18,000 agents. Typical customers: CallMiner’s Interaction Analytics technology covers a broad range of verticals and their applied use cases such as financial services, consumer goods, utilities, healthcare, travel & tourism and many more. Typical price for a 100 agent solution: SaaS Annual Subscription License for CallMiner Eureka/myEureka would be approximately £100,000 which would support 250 hours per day of call mining. Access to Eureka Xchange is free to our customers. Brief overview of product: Spreadsheets cause us pain… Scorebuddy is a cloud based Quality Monitoring Software for Call Centres. It is designed to score customer service calls, emails and webchats, pretty much whatever you want! Stop worrying about your reports breaking (spreadsheets), everything is in one place and there’s customizable access for everyone. Scorebuddy saves time, increases accuracy and delivers an exponential return on investment. On average our customers achieve 8-10 times ROI. It’s easy to use, does not require an IT person! Our Free Trial is very quick to set up, there are no credit card details required and there are no contracts. Scorebuddy is a purpose built, QA Software that can’t stop developing! We genuinely listen to our customers and we develop the product (where possible) to make Scorebuddy even more useful. Scorebuddy helps businesses to manage their QA process. Data is input via Scorecards. Simply put, you put data in and you take insights out. Approx. number of UK customers using the product: Scorebuddy is used by 100+ Call Centres, managing over 20,000 customer service agents! Brief overview of product: Bringing together both omni-channel contact centre and CRM Customer Service in a single agent desktop, intelligentContact provides a transformational way of managing calls, email, chat, social and mobile whilst providing a single customer view for agents in an ‘intelligent’ application. The platform incorporates all the ingredients of the traditional contact centre, including an ACD providing skills based routing and queuing, plus IVR, call recording and workforce optimisation. Enabling businesses to connect with customers on any channel whilst providing a seamless omni channel experience and visibility of all relevant customer data. The extensive case management capability enables follow up to be managed whilst a flexible business rules engine enables users to set up complex workflows and automate business processes. Available as both a premise and a cloud solution, intelligentContact has enabled our customers to transform agent efficiency and customer experience by combining contact centre and CRM in a simple, intuitive application. What are the Unique Selling Points of the product? mplsystems unique “mashup” CRM Agent desktops are configured to make ‘complex customer service simple’, bringing together CRM, contact centre channels and enterprise-wide customer data in a simple intuitive application. In contrast to a traditional CRM approach, the objective is not to replace existing enterprise systems, but rather to present all relevant customer data from them on a ‘single unified desktop’. The desktop guides agents through complex transactions whilst intelligently presenting only the relevant data at the appropriate point in the transaction, rather than bombarding the agents with irrelevant data, tabs and menus, as is common in a traditional CRM. The result is a simple, intuitive agent desktop, ‘fit for purpose’ for the contact centre. What makes mplsystems really unique is the ability to configure these process centric integrated applications in a matter of weeks, as opposed to the months or years that is typical of alternative solutions which involve expensive customization and integration. The result is a customer service desktop which will slash the time an agent spends searching for data, knowledge and processing requests, whilst empowering front office staff to do more and deliver truly transformed customer experience. ‘Empowering agents with the tools to make complex service tasks simple’ is only part of what makes this solution unique; in parallel we focus on automating the simpler customer service tasks, freeing up agents to deal with complex value adding tasks. This is enabled through our pioneering intelligentResponse module, which uses Artificial Intelligence to identify, respond to and process front and back office requests, whether the customer is using chat, email, social media or the website. Using the latest advancements in Natural Language Processing, the module will not only provide answers to a variety of questions and enable 2 way, multi-stage ‘natural’ automated conversations but will also process these tasks automatically via pre-defined business rules, such as account changes, refunds, password resets, distributing brochures, debt collections. The module will identify more complex tasks and via the skills based routing engine will deliver these to the most appropriate skilled expert to deal with them. Typical customers: From international enterprises to start-up businesses, mplsystems works with clients across Europe in many industries including retail, financial services, manufacturing, repairs and facilities, utilities and leisure industries. This includes major brands such as Aviva, HomeServe Gas, Babcock International, Iceland and Engie, rapidly growing retailers such as Purple Bricks, Wyevale and Carhop and focused B2B engineering and service companies such as Gamestec, The Metric Group and Ecomaster, who use the technology to better manage their customer experience and field service operations. Brief overview of product: The NICE Workforce Management (WFM) system has provided workforce management and workforce optimization solutions for over two decades – since 1988. With specific tools and terminology for contact centers, back office and branches, NICE WFM offers the flexibility to fit forecasting and scheduling to specific environments. While NICE WFM can operate as a standalone solution, it serves as a foundational component of NICE’s broader Workforce Optimization platform. The NICE Enterprise platform provides Workforce Optimization by offering tightly integrated solutions which enable organizations to improve employee productivity, identify performance gaps, deliver targeted coaching, and effectively forecast workloads and schedule staff. NICE Workforce Optimization enables organizations to measure, manage and motivate frontline employees to ensure best performance during customer interactions. It leverages integrated capabilities including unified operational dashboards across domains, cross-solution workflows, data aggregation from multiple sources, and unified administration. NICE Workforce Optimization fosters performance-driven operations, leverages the power of advanced analytics, and embeds Voice of the Customer into daily operations. NICE WFM is a scalable solution that integrates data seamlessly across the enterprise and automates many time-consuming and labor-intensive processes. It is a proven application that has been implemented in over 75 countries – 3,100 organizations and 2.4 million employees – worldwide. Highly configurable, the system allows users to adapt it to their particular needs through a wide range of operating parameters, rules, and feature enablement. This allows the system to meet a wide variety of operational needs, labor rules, and site-specific parameters, while maintaining stability and scalability. NICE WFM is available as a hosted, onsite, or SaaS model. NICE provides full system implementation addressing each customer’s unique requirements, as well as complete onsite training in order to equip users with the knowledge and skills to use the system to its fullest capacity. NICE WFM training sessions use the customer’s own data to ensure accuracy and relevancy, and NICE also offers continuing education on the system’s features, functionalities, and upgrades. Ongoing maintenance (including 24×7 support) is available through annual maintenance agreements. What are the Unique Selling Points of the product? NICE WFM system integrates data seamlessly across the enterprise and automates many time-consuming and labor-intensive processes. It is a proven application that has been implemented in over 75 countries – 3,100 organizations and 2.4 million employees – worldwide. Highly configurable, the system allows users to adapt it to their particular needs through a wide range of operating parameters, rules, and feature enablement. This ensures that the system accommodates a wide range of operational needs, while maintaining stability. Most advanced multi-site and multi-skilled solution on the market – Patented self learning process with embedded simulation of your ACDs, network routers, virtual queues, and cloud based multimedia routers ensures forecasts and schedules account for the interrelatedness of multiskill workers, across diverse work centers, handling both immediate and deferrable work volumes. Most robust collection of employee self service rules – driven tools delivered via a web browser- As an overall collection, NICE WFM provides the broadest set of rules-driven tools that empower staff to be involved in the WFM processes. Rules provide the boundaries to ensure business objectives are met while allowing employees control of their schedules and performance. Best long term planning module embedded in the core technology– the long term planning module – including “re-syncing” planned headcount with actual headcount – is an out of the box feature in the Personnel Planner module. Broadest spectrum of change management tools that put information in the hands of the decision makers – Tools such as Meeting Scheduler, Schedule Optimizer, and change schedule wizards make schedule modification simple. Intraday views give real time updates on forecasted KPIs as schedules are modified and as ACDs deliver data. 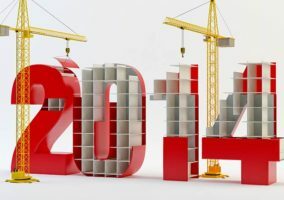 Plans can be adjusted on the fly and site managers’ plans are updated automatically, and work can be re-allocated with a couple of clicks to match work volume to staff capacity. Most experienced educational services staff certified in adult learning and participant centered facilitation methods – NICE WFM Group trains customers using their own data, and advanced adult learning techniques to ensure the training “sticks”. With over 400 years of cumulative experience, our education specialists bring a wealth of knowledge into the classroom and are happy to share best practices. In addition, our Client Service Managers facilitate the customer relationship and acts as a liaison between the customer and NICE throughout the life of the customer relationship. Low total cost of ownership – Multiple server configurations, multiple database options, multiple operating systems options, and support for virtualization ensure your IT department has options to configure a platform to meet your needs at the lowest cost. NICE also provides the full functionality of our advanced WFM system in a hosted environment. Embedded Multiskill Simulation – Only NICE WFM simulates exact: ACD routing, employee skills, skill levels and schedules with its patented formula; self-learning algorithms create improving efficiencies. Multichannel support – Ability to forecast, schedule and manage all customer contacts and back office work allowing organizations to be highly productive. Robust Real Time Adherence – Visibility into agent ACD, outbound dialer and desktop activity letting you know what is happening in real time, right now in order to make the most effective decisions. Brief overview of product: rostrvm software and services help organisations to deliver high levels of customer service across multiple contact channels. The intuitive and easy to use application suite supports sophisticated call handling, agent support, outbound contact and reporting requirements. Voice call handling is standard with integrated multi-channel add-ons for email, SMS and web chat. Brief overview of product: The EncorePro 700 USB Series is a fully integrated audio solution that enables users to focus on every conversation with all-day comfort, built-in call control, advanced audio processing and an enhanced noise cancelling microphone. EncorePro 700 Series headsets are also future-ready with intelligent calling features and VoIP-optimised functionality to help organisations maximise the returns on softphone investment. Brief overview of product: Aspect Zipwire is a feature-rich, cloud-based contact centre interface designed to rapidly accelerate operational value and customer service excellence. Able to significantly reduce demand on IT, Aspect Zipwire includes premium features such as unlimited elasticity, provisioning simplicity and 24/7/365 support. Deployed on Aspect’s fully redundant, geographically dispersed cloud architecture, Aspect Zipwire uses the cloud to deliver the reliability and capacity needed to manage omnichannel customer interactions across voice, email, SMS, web-based messaging and video, with the capability to integrate social media and mobile apps. Aspect Zipwire enables businesses to deploy and manage a pure cloud contact centre or Help Desk with premium features at a competitive price. It has been designed to meet the demands of the largest enterprise contact centres as well as the unique needs of smaller contact centre operations. With Aspect Zipwire’s simplicity and speed of set up, organisations can be up and running in hours with no set-up costs, helping to speed the time-to-value for contact centres by quickly getting agents serving customers. Typical customers: Aspect Zipwire has been deployed by businesses of all sizes, operating in all sectors. Typical price for a 100 agent solution: Pricing dependent on functionality. Brief overview of product: The Genesys Customer Experience Platform combines multimodality, orchestration, and journey management to provide a great omnichannel customer experience, with compelling business outcomes. It is available in Pure Cloud, Pure Connect and Pure Engage. The platform ensures that the experience brands deliver aligns with the expectations of their customers – and is journey appropriate. By more effectively matching the workload and the required staffing levels for each customer journey, it delivers consistent service levels over all touchpoints, channels and interactions throughout the call centre or contact centre and back office. Genesys analytics tools also help users gain superior business insights that are actionable. Based on real-time and historical data, Genesys helps the management and refinement of sales, service and marketing strategies to better achieve business objectives. Whether the goal is to modernise the contact centre, increase workforce efficiency and quality, or orchestrate optimal omnichannel customer journeys, Genesys offers an open and scalable platform that efficiently fits into existing enterprise architecture, integrates with CRM systems, and reduces total cost of ownership. The Genesys Customer Experience Platform is available from the cloud or through on-premises implementations – in users’ own data centres or private cloud. Integration with legacy CRM or custom desktop. Maximised productivity of agents and knowledge workers in both the front and back office. Workforce optimisation to connect each customer with the best available agent through automated routing. Omnichannel journey management, including voice, email, chat, social, mobile, web and video. Typical price for a 100 agent solution: There is not a typical price for a 100 agent solution; pricing is determined by the functionality required. Brief overview of product: TrustCall On Demand is a totally unique, patented solution in the compliant payments space. It is a secure payment on-demand payment solution for contact centres. It is a cloud-based software solution that can either be embedded into your existing Customer Relationship Management system or used as a stand-alone web application. At no time does any of the sensitive card information pass through or reside in any in-house systems. Secure mode and routing to the PCI DSS-compliant service provider is only invoked when a payment actually takes place, providing a true pay-as-you go model, rather than a channel-based licensing model or requiring a migration to another carrier or necessitating another network to carry your call traffic. Approx. number of UK customers using the product: As IP Integration took TrustCall On Demand through the patent process the sale and marketing of the product could not take place until it was submitted. Therefore the product has been on general release since Autumn 2015 and since then 12 customers have, or are in the process of deploying TrustCall On Demand totalling many thousands of agents and multi millions of transactions per annum being processed. Typical customers: The fact TrustCall On Demand protects customers from the gaze of PCI compliance means that it is suitable for any contact centre which takes payments over the phone. Customers who have adopted TrustCall On Demand include DHL, Severn Trent Water, Yellow Pages, TIF, PDSA, Bensons for Beds, Luton Borough Council and Harvey’s. Also a number of financial services customers we cannot directly name. Typical price for a 100 agent solution: Not disclosed. Brief overview of product: Jabra Biz 2400 II is a new and improved version of the original Jabra Biz 2400, which is one of our most popular professional headsets ever. The Biz 2400 II is a best-in-class corded headset, designed to meet the demands of busy call centric environments; for those who both listen to understand and talk to solve issues. Offering outstanding sound at both ends of the call, durability for long-term use and cost-effectiveness, exceptional comfort for all-day wear and is 40% lighter than competing headsets, the BIZ 2400 II provides the clearest, most comfortable conversation yet. Jabra Biz 2400 II comes in Mono and Duo options for Quick Disconnect (QD) for deskphones and UC for softphones. There is also a Microsoft variant that is optimised for use with Skype for Business. Jabra Software Applications (for USB-variants) provide easy device configuration and softphone integration. Customise and control the headset settings with Jabra’s software applications to have full integration and remote call control with the latest generation of softphones. Typical customers: Large seat in-house and outsourced contact centres and a mix of contact centre and office workers. Congratulations to all of the winners and many thanks to everyone who took part in the voting.